I really needed a cool, rainy day. My house is unbelievably disorganized, so it was lovely to spend most of the afternoon at home, picking up clutter and moving it all to slightly more satisfactory locations. The girls even took it upon themselves to tidy up the basement playroom. Although the verb “tidy” is misleading, giving you the impression that the room is now (adjective) “tidy,” when really it’s just possible to move about without stepping on toys and trying not to curse in front of the children. For the record, I frequently say, “Fudge!”, “Oh my stars!”, and “For the love of peanut butter and jelly sandwiches.” I was a dork pre-kids, but they’ve helped me to achieve a whole new level of dorkdom. Every time I drive by one of these big stone signs (they have them for Rte. 87 and Rte. 7, maybe others), I get irritated. Seriously? How much did these stupid signs cost? And usually they’re within about ten feet of the regular old highway signs which, incidentally, all colorful and reflective and easier to read. Now, don’t get me wrong: I love, love, love the good old-fashioned architecture from long ago, when they made schools and post offices and train stations gorgeous. But this is so basic and boring. I mean, it’s okay, I guess, but I have a feeling that if I knew how much these signs cost I’d be appalled. Or am I becoming a curmudgeonette in my old age? Am I the only person who unreasonable considers curmudgeon to be a masculine word? Hello? How did I miss that duct tape is now available in fabulous colors and patterns like purple, turquoise, and Hello Kitty? 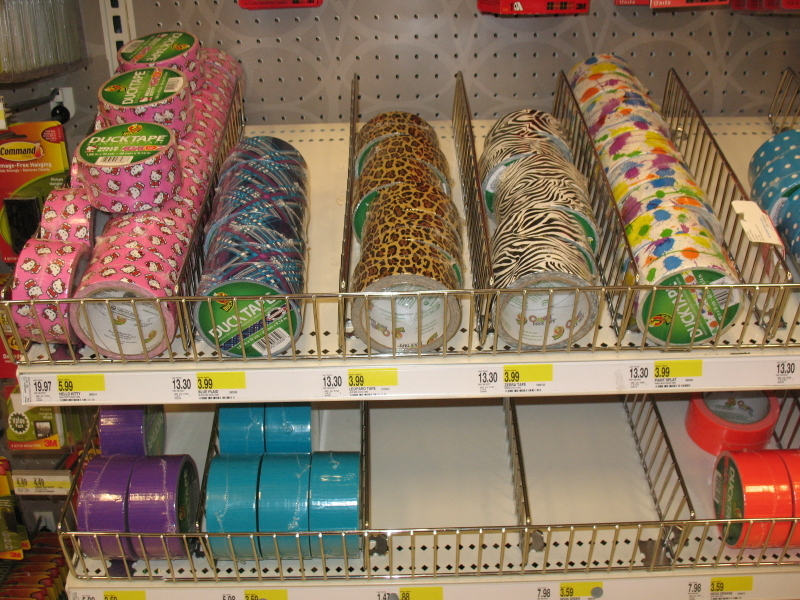 Holy cow, I am fantasizing about the possible duct-tape-related crafting opportunities. And if you need help getting started, check out this website. Of course, here’s where I differ from all of these people. I pause in the store (Target), considering fabulous crafts, and then slowly, regretfully, move on. Apparently there’s a small-but-effective population that buys the stuff, creates awesomeness, photographs it, and uploads it. All of which makes me torn between admiration and alarm. Like, couldn’t people use all of this creativity to make the world better somehow? Same with planking. But who am I to cast stones, right? I’m blogging about duct tape. Okay, I have to kvetch about Facebook. It sort of freaks me out. And not in that scared-for-my-privacy way that freaks everyone out, because I am past the stage when people can really take compromising photographs of me (thank you, FB, for not arriving until after I graduated college). No, what drives me crazy is that when I go on the Capital District Fun page, it tells me over on the side, just like on any page, how many of my friends “like” Capital District Fun. And what’s ridiculous is that it’s always different. I’m a pretty passive FBer, and I don’t push the blog on my personal account. So I have about 60 “friends” who also “like” Capital District Fun. Except some days it’s 59, or 57, or 58. Which, obviously, I don’t really think that I have all of these people who are “liking” and “unliking” me all over the place. I’m sure that most of them joined up once to be supportive and pretty much forgot about it. And yet, seeing that number going up and down unnerves me. Because, you know, when people “like” me, they pop up and I can see who they are (I never actually contact anyone because it would seem alarming and stalker-ish, I think). But when someone decides that they don’t “like” me anymore, they just drift away, sort of like friends. Oh, crap, I’m imagining people reading this and going, “Great! 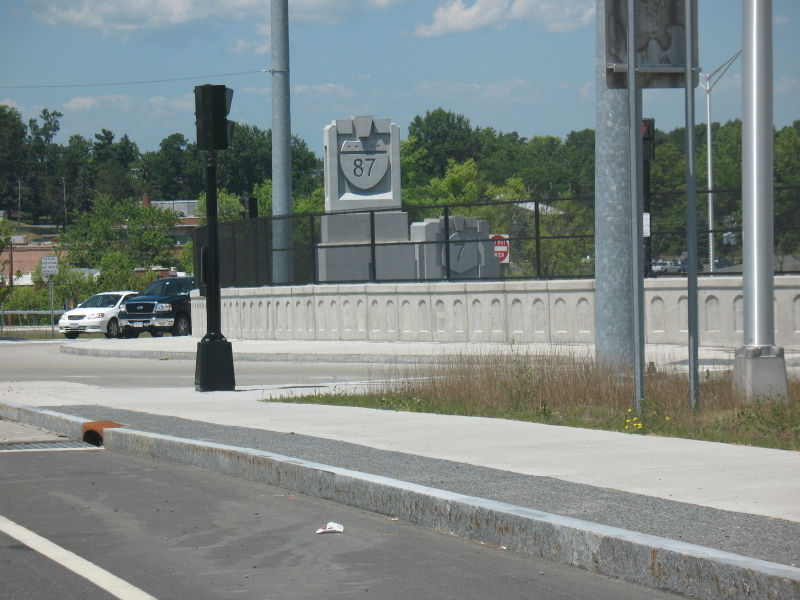 It’s safe to unlike Capital District Fun now!” Agh. I’ll try not to look. Enjoy the cool evening breezes, everybody. Thanks, Jen! I totally forgot! Thanks, Angela! Your comment made me laugh b/c sometimes I’ll say to myself, well, clearly, a bunch of people must have just quit Facebook. So glad that you and the 4-year-old are having a fun summer–any favorites to recommend? Katie, I also recently de-activated my FB account. That is probably the most common reason for the decrease in the number of “likes”. Another potential reason is that sometimes people try to limit the amount of items that show up on their newsfeed, so they start unliking everything.